Wedding season requires a lot of paper, and save-the-dates are the locomotive of the invitation train. The “how” behind the “what” of save-the-dates has evolved over time, but their purpose remains the same: a save-the-date asks your guests to mark their calendars. It is a quick postcard to inform guests they are invited, when and where you’ll be tying the knot, and that you will be in touch with further details. To assist you with what can sometimes be a daunting process, we put together the who, what, when, where, why, and how of save-the-date details. 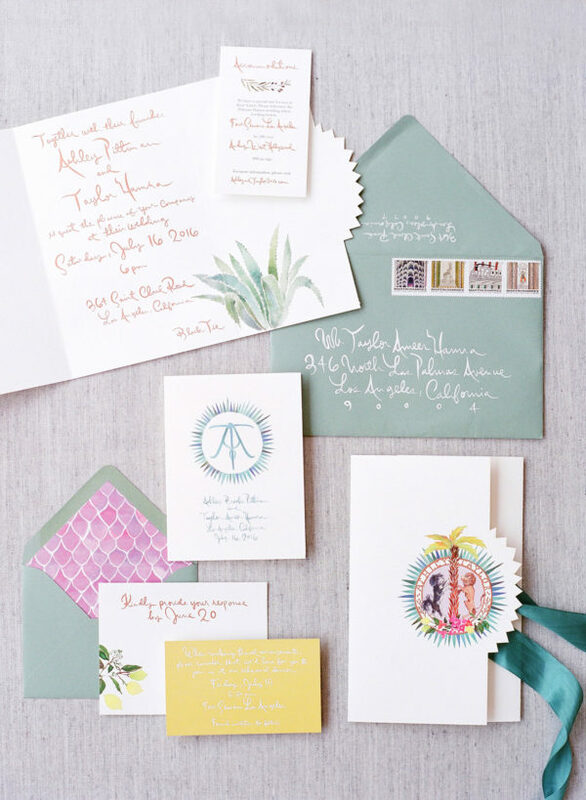 Don’t forget to check out these Dallas stationers to get your process started and check out all the save-the-date inspiration here. Anyone invited to your wedding should receive a save-the-date. This is mandatory and a no-brainer. Do you include plus-ones and family members on the save-the-date? There is not a strict answer on this topic, and it depends on how far along you are in the planning process when you send the card out. To clarify if your guest receives a plus-one or if you will include the entire family, you will need to have finalized your budget and venue accommodations first. Clarifying these details before sending out the save-the-date becomes important when you plan a wedding during a peak wedding season weekend, or if you plan a destination wedding. Otherwise, let the formal wedding invitation clarify the full “who” and just address the save-the-date to the guest and/or married couple. 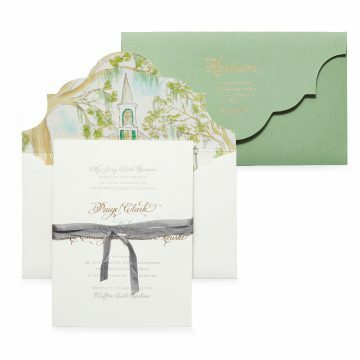 Typically the save-the-date includes an engagement photo or is designed in a stationery that reflects your invitation suite and wedding style. Guests love to feel involved—and families love to show off—so a save-the-date with an engagement photo is a simple way to make it feel personal for all. 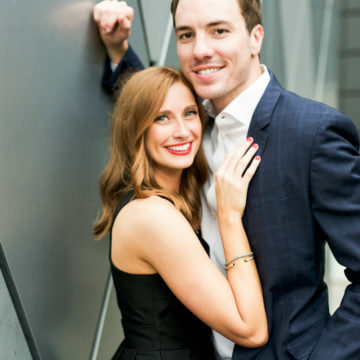 That being said, you do have to book an engagement shoot quickly following your engagement in order to send out a photo save-the-date promptly. If time is not on your side, or you are instead fond of more traditional customs, a printed or letter-pressed save-the-date is the perfect avenue for you. We love seeing wedding monograms or venue sketches on save-the-dates as a “first look” into your wedding style. Traditionally, it is recommended to send out save-the-dates around six months out from your wedding day, give or take a couple months depending on the scale of the event and engagement length. If you are planning a destination affair, it is polite to err on the side of caution so your guests can begin booking flights and hotel rooms. If you will be engaged for four months or less, we recommend either a digital save-the-date or turning your attention to formal invitations and possibly skipping a save-the-date all together. There are amazing resources and vendors for where to order your save-the-dates. We recommend sitting down with a stationer to design the aesthetic of your entire invitation suite, which begins with a save-the-date. If you plan to use an engagement photo, your stationer can design a calligraphy or monogram overlay to make it special. A budget-friendly and time-saving option is ordering save the dates on sites like Paperless Post, Minted , or Dixie Design Collective. Save-the-dates have stood the test of time because they are straightforward and to the point. You send a note to friends and family with both names of the couple, the wedding date, and the destination city so guests can mark the date, ask for time off work, and make travel plans. It is as useful for you as it is to your guests. You may also want to include your wedding website and where you are registered—we find this especially important as showers approach. The “how” of save-the-dates has developed within the past 10 years as we have seen a modern transition to digital platforms. The biggest digital transition we have seen has been how couples acquire addresses. When our parents wed, they pulled out an address book. Nowadays, we are much more likely to have a telephone number over an address. Platforms like Postable assist in obtaining addresses by creating a link you can text message or email to wedding guests that prompts them to fill out a digital address card. Once they have filled out the card, their address is saved in your address book online. We are all for a good Google doc, but we love this platform because it reduces the possibility of human error.